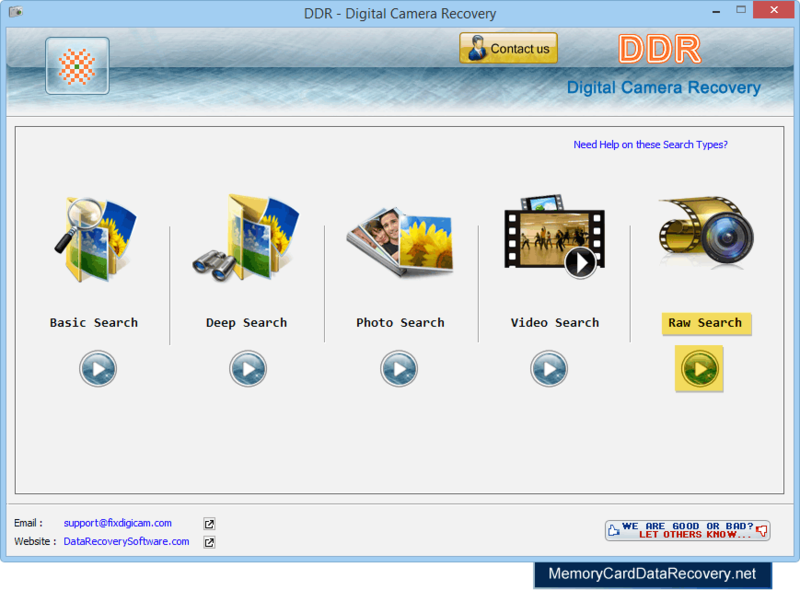 Software has five searching modes to recover lost data files. 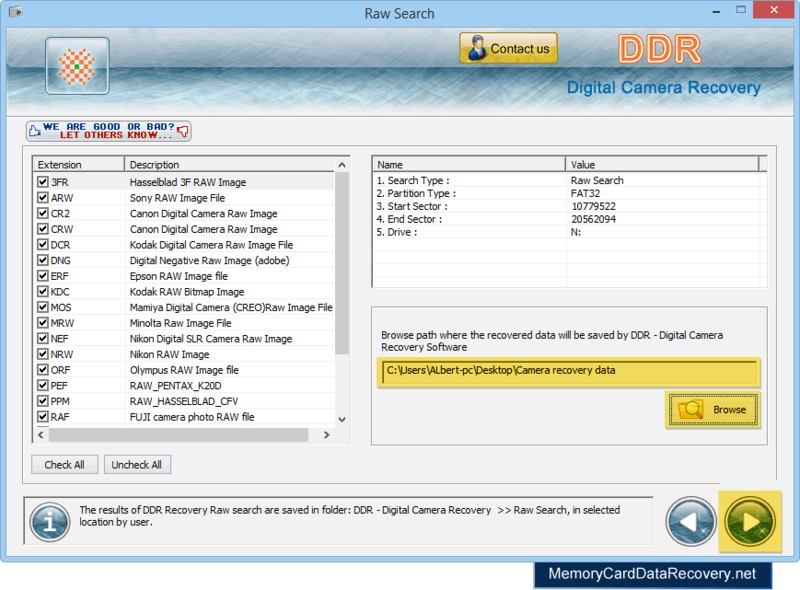 Select any one searching mode according to your requirement. 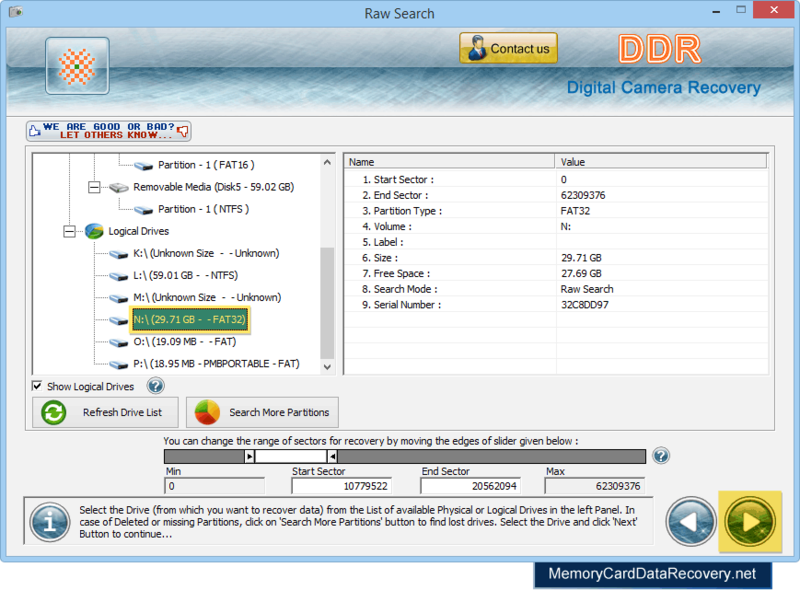 Select the drive from which you want to restore lost data and click 'Next' button to proceed. Browse path where you want to save recovered files and click Next button to continue. 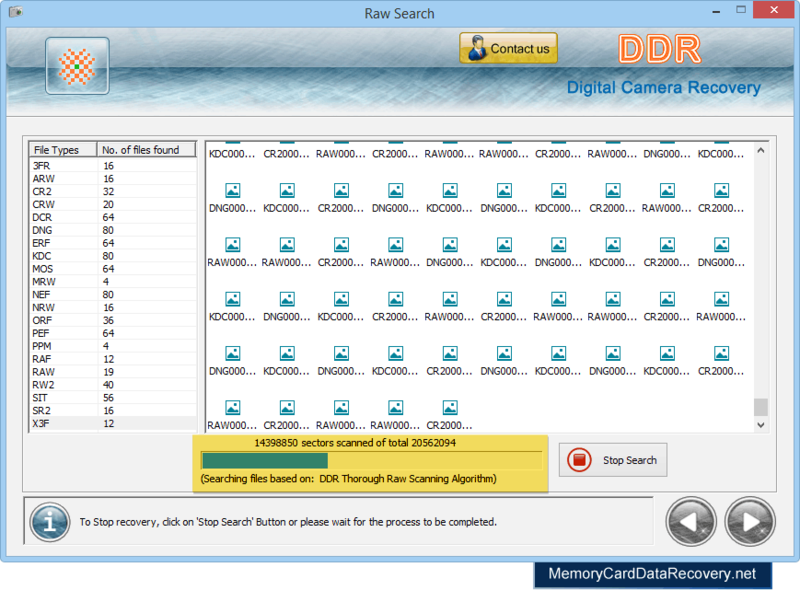 Data recovery process (using DDR Thorough Raw Scanning Algorithm) is in progress. 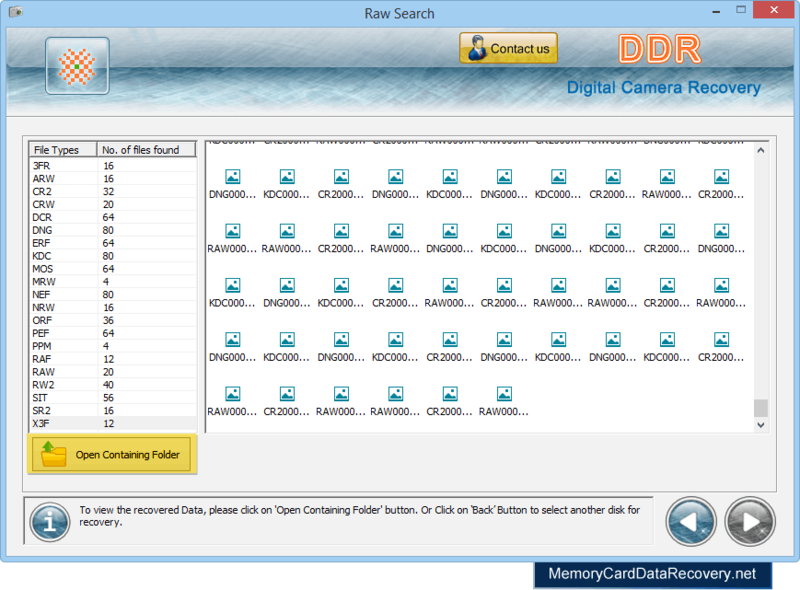 Click on 'Open Containing Folder' option to see the recovered data files.